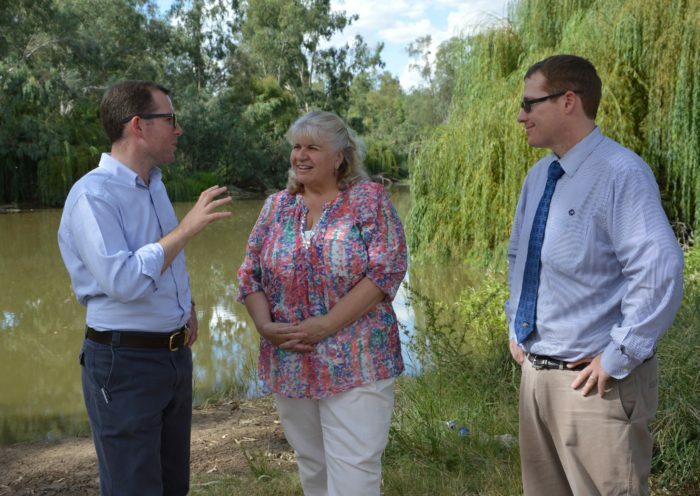 MEMBER for Northern Tablelands Adam Marshall has today announced a grant of $8,521 to improve fish habitat along the Gwydir River at Pallamallawa, as part of the NSW Government’s Habitat Action Grants Program. Mr Marshall said the funding would provide a wonderful boost for the quality of the popular Gum Flat Reserve, which will undergo some major rehabilitation work. “This will stabilise the bank and allow the revegetation work to begin and the removal of woody weeds to control corrosion and river siltation. Mr Marshall said funding for the grant was provided through the Recreational Fishing Trusts, from money raised by the NSW Recreational Fishing Fee and spent on activities to improve recreational fishing. “The grants are incredibly useful as they enable major improvements to local creeks, riverbanks, wetlands and better access for fish, which will improve fish habitats and ultimately produce more fish,” he said. “The Recreational Fishing Trust – Habitat Action Grant Program is a great example of how anglers’ money is being invested back into recreational fishing and supporting the improvement of recreational fish populations in Northern Tablelands.